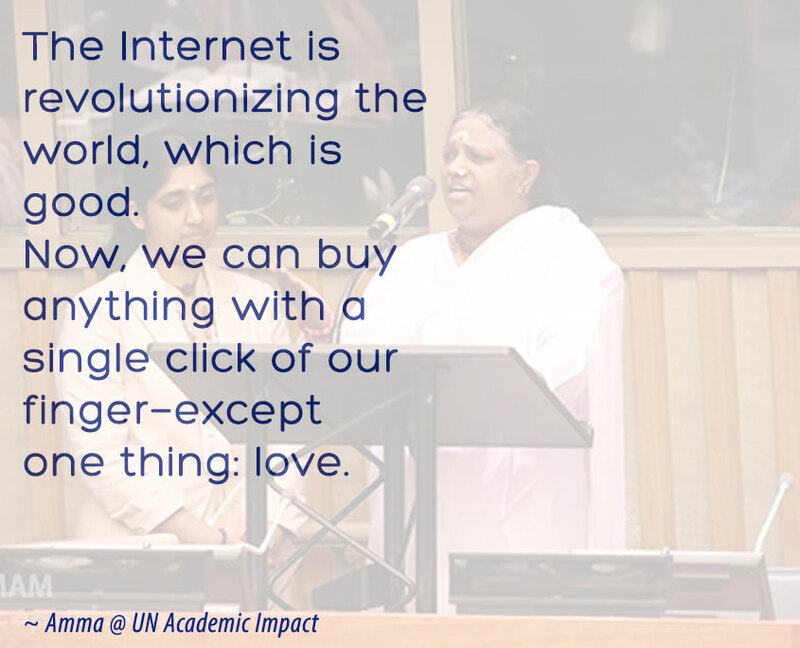 Amma will delivered the keynote address during the conference at the United Nations on technology and sustainable development in New York. 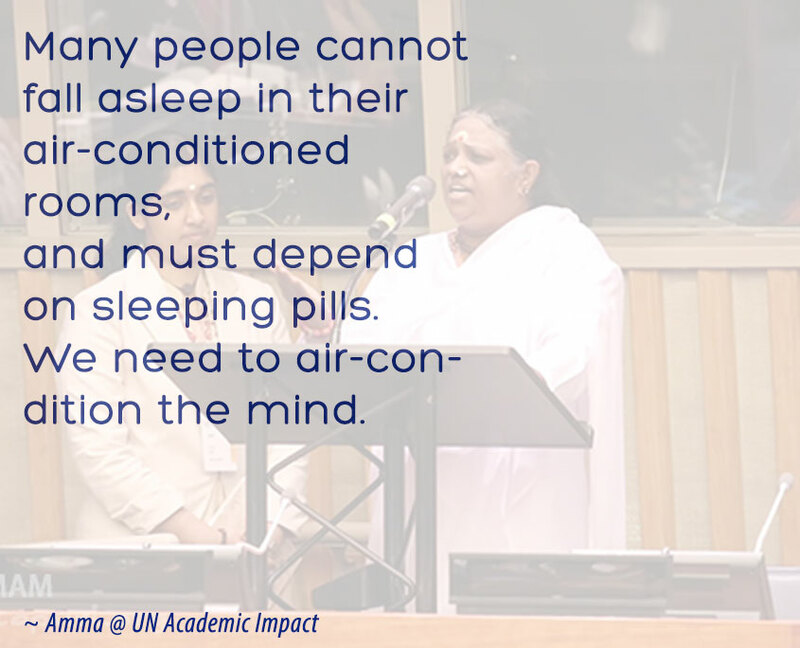 Amma, Mata Amritanandamayi Devi, the Chancellor of Amrita University, Amma addressed researchers representing 93 leading international universities at a conference co-hosted by Amrita University and the United Nations Academic Impact (UNAI). The faculties from Amrita University later presented research work they have undertaken in collaboration with renowned universities such as Cambridge, EPFL, Monash, the National University of Singapore, Oxford, Stanford and Twente. 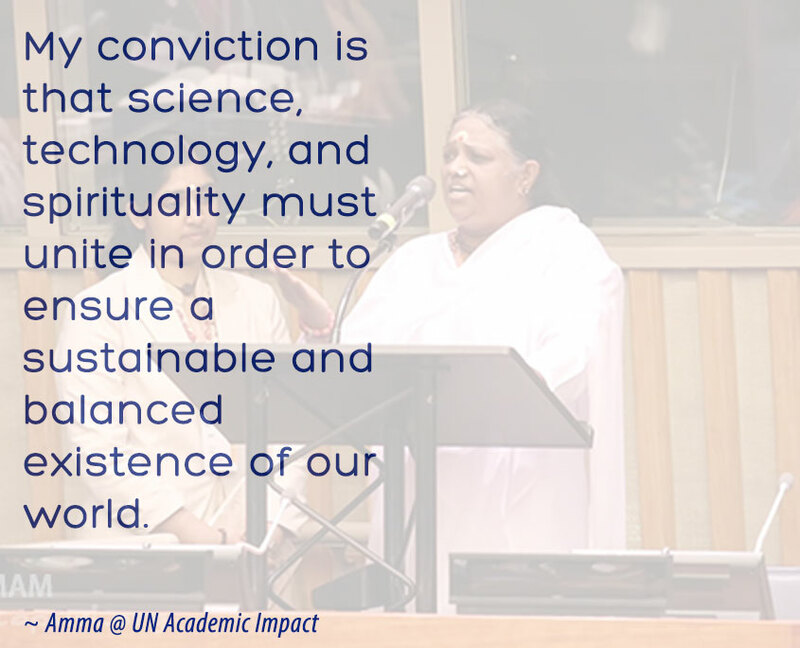 United Nations Academic Impact (UNAI) is a global initiative that aligns institutions of higher education with the U.N. Mr. Ramu Damodaran, Chief, United Nations Academic Impact introduced Amma to the audience.